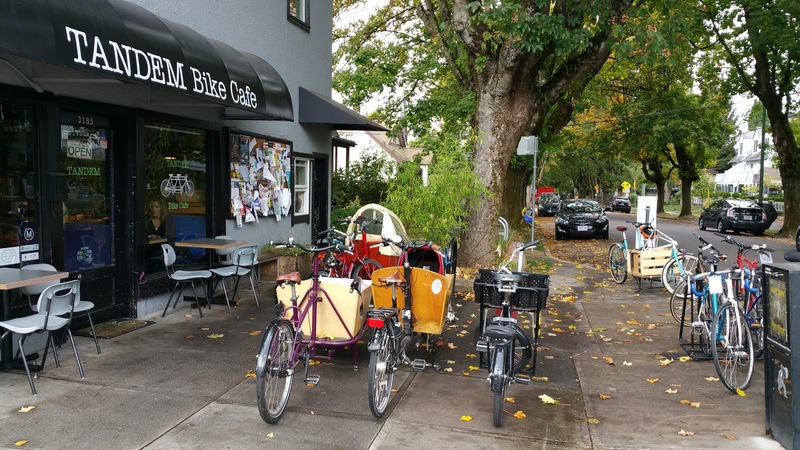 Spokesmama: Where can you buy a cargo bike in Vancouver? Where can you buy a cargo bike in Vancouver? EDIT: The cargo bike market in Vancouver has shifted a bit, & a few of the players are out of the game, so I've written an updated post on Where you can get a cargo bike in Vancouver here. If you're looking to buy a cargo bike in Vancouver, there's no one stop shop to test ride different brands. Quite a few brands of cargo bike, like our Bakfiets, aren't even sold here in brick & mortar stores--your only option is buying online. Until we get a great family & cargo biking shop (like Seattle's G&O Cyclery) here in Vancouver, you'll have to pound the pavement a bit. In the interests of making that easier for you, I've compiled a list of bike shops that sell cargo bikes here in Greater Vancouver. Read about the daily school dropoff run on an electric Pedego Stretch by Lee-Anne Ekland on Mom Pardigm. Jordon & Amy sell out of their home--you'll need to call to make an appointment to test ride their bike. Dream focuses on custome bikes, but they do sells Surly longtails--they may not have a floor model, so give them a call if you're hoping for a test ride. Grin specializes in e-assist, so all their cargo bikes are electric assist models. Mac Talla didn't have any floor models available for test rides last time I was in--call ahead to ask. Ed generally has Xtracycles on the floor for test rides, Surlys might need to be ordered. More Bikes also has a location in Wesbrook Village at UBC. Reckless has three locations downtown & in Kitsilano, the Davie Street location has Babboe on the floor. Andrea & Lucas opened Sidesaddle specifically as a women-friendly shop. They have at least one Haul A Day available for test rides. I posted about the shop not long after they opened. Clint's personal Metrofiets & CETMAs are available for test rides most days--call ahead to be sure they're at the shop. This is where we go for service on our bikes--the mechanics here really know & love cargo bikes. Here's a short review I wrote after borrowing Clint's CETMA for an afternoon. 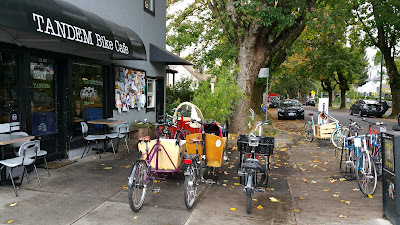 Bike Doctor usually has a floor model of most of their cargo bikes available to test ride. We bought our Yuba Mundo there in 2014--you can read much more on that on my cargo bike FAQ page. That about wraps up my list. Please let me know if you know of other cargo bike selling shops in the city that I've missed!